Last week’s classification of dicots and monocots was the beginning of our botany unit. I purchased REAL Science Odyssey: Life over the summer and we are working through the botany lessons in it, but I wasn’t completely satisfied with it. It’s just simpler than I hoped. So, I purchased Exploring Creation With Botany. We just did the first half of Lesson 1 (each lesson is very long). I got the Junior Notebooking Journal as well and Bear is loving it! I debated getting it, but am very glad we did. We’ve studied botany with a Montessori approach in previous years (leaves, seeds, trees) and Bear is ready for more depth. Exploring Creation With Botany is exactly what I was looking for in terms of depth. 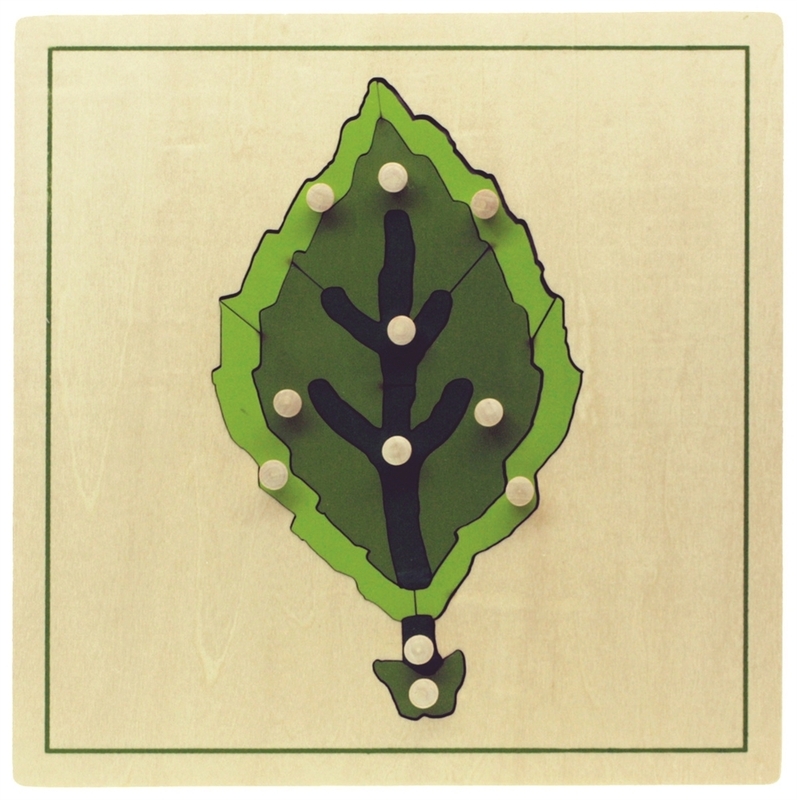 and the parts of the leaf puzzle (there is a file here for a flower, tree and leaf puzzle that you can print to use as a model – or just to use as a paper puzzle). I am also looking at this 6-9 botany Montessori album. It contains many ideas for activities and experiments to add to a plant study. I’ll add those in to our Apologia Botany as they fit. I’ll be adding more posts as we continue through Exploring Creation With Botany. This is great! Thank you so much for sharing! (And for being ahead of the game 🙂 How did you make your felt board?? The felt board you see in the flower picture – I made that by wrapping a piece of cardboard (I think I just used the cardboard that came with the frame) with the gray felt and putting it in a frame (the cheap $5 Walmart ones) from which I had removed the glass. You'll notice that we lost the frame and just unrolled the gray felt for the tree puzzle – I needed a frame for a photo and took back the frame we were using for the felt board!